Post by Dr. Julie Laity . Ventifacts are rocks abraded and shaped by windblown particles, characterized by their distinctive morphology and texture (Laity, 1994). Many show one or more facets, separated by sharp keels that form through progressive planation by impacting sand grains (Laity and Bridges, 2008). A facet is a relatively plane surface cut at right angles to the wind, regardless of the original shape of the stone. Facets often join along a sharp ridge or keel. Multiple facets may develop on a rock, related not only to winds from different directions, but also to the shifting and overturning of small ventifacts. Large boulders, which cannot be moved, provide excellent indicators of regional wind direction. The ventifact shape and associated surface features depend on rock size, density and hardness, primary texture, and abrasion maturity (the degree to which the ventifact has developed, which depends in part on time). Hard, fine-grained rocks become faceted, with little roughness or feature variation. Heterogeneous, coarse-grained, or initially rough-textured rocks often develop pits, flutes, or grooves. 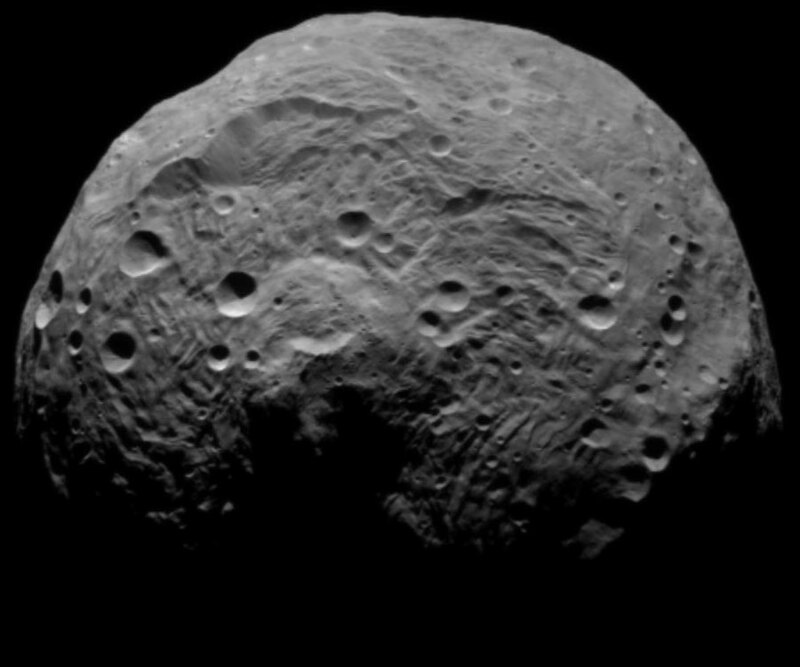 Pits develop on high angle faces (close to 90°). Flutes develop from pits as the angle of the face lessens and the pit elongates and broadens (Sharp 1949). They may eventually cover most of the ventifact surface. On Earth, ventifacts develop in vegetation-free areas subject to frequent, high-speed, sand-laden winds. Thus, they are found in periglacial regions, along shorelines, and in deserts. 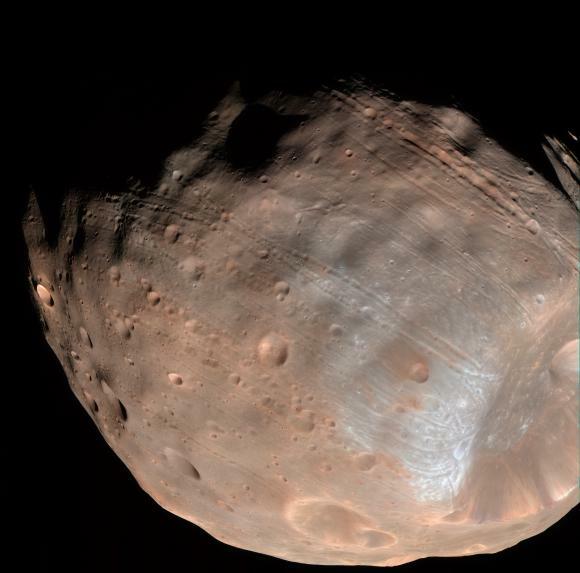 Ventifacts on Mars are well developed and widespread as shown in images from the Mars Exploration Rover (MER) and earlier surface missions (Greeley et al., 2002; Thomson and Bridges, 2007). They provide invaluable markers of ancient winds and provide insight into climate and landscape modification. Image 2: Differential erosion of an ignimbrite by wind abrasion. Etching occurs when the wind selectively erodes less resistant strata in layered rocks. 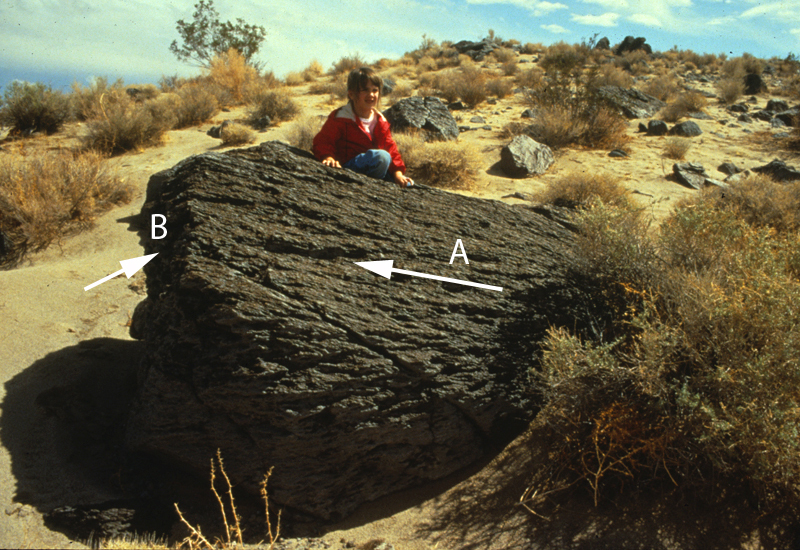 Image 3: Feature development on a large ventifact near the Mojave River Sink, California. Near-vertical faces in the basal region of the ventifact are pitted. As the face begins to recede by erosion, flutes develop, increasing in scale with height. 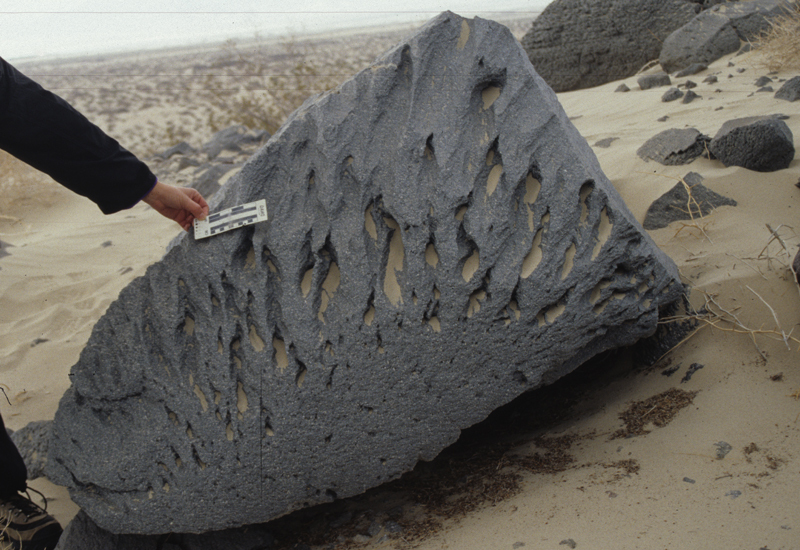 The ventifact is abraded by dune sand. Image 4. Ventifact from the Mojave River Sink, Mojave Desert, California. 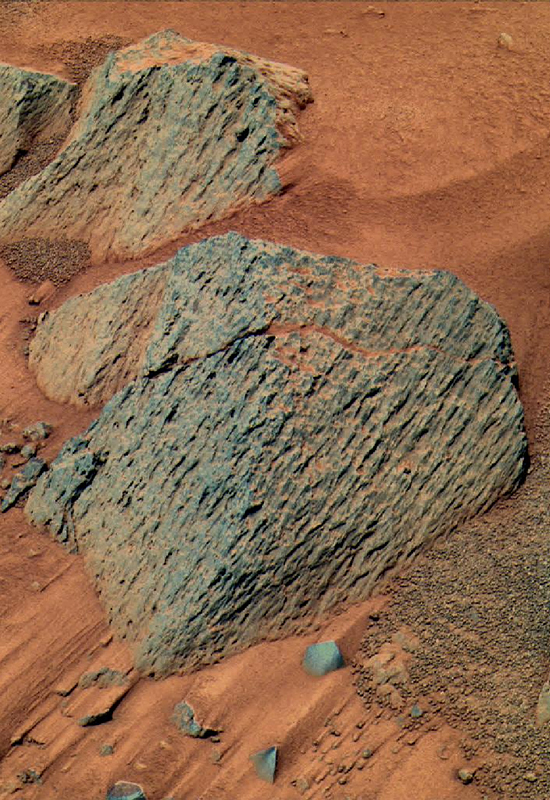 The winds at this site are bidirectional, but are strongest from direction A, creating a low-angle beveled surface that is covered in parallel flutes and grooves. 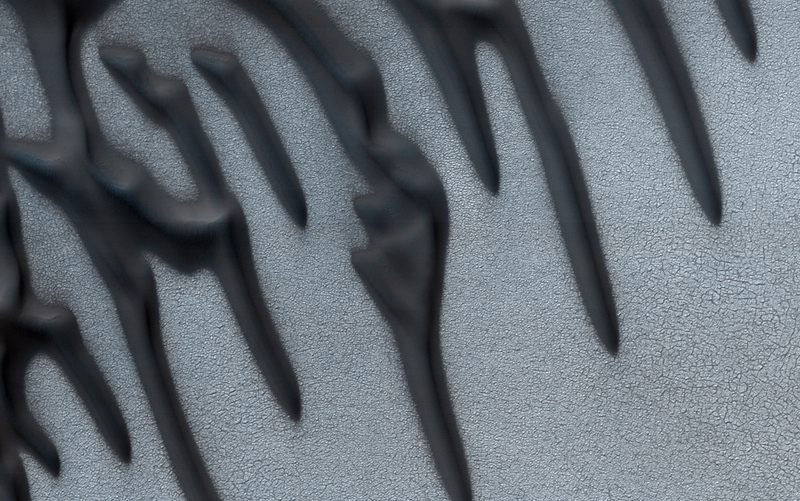 The high-angle surface at B is intensely pitted. Bridges, N. (2009) Ventifacts on Earth and Mars. 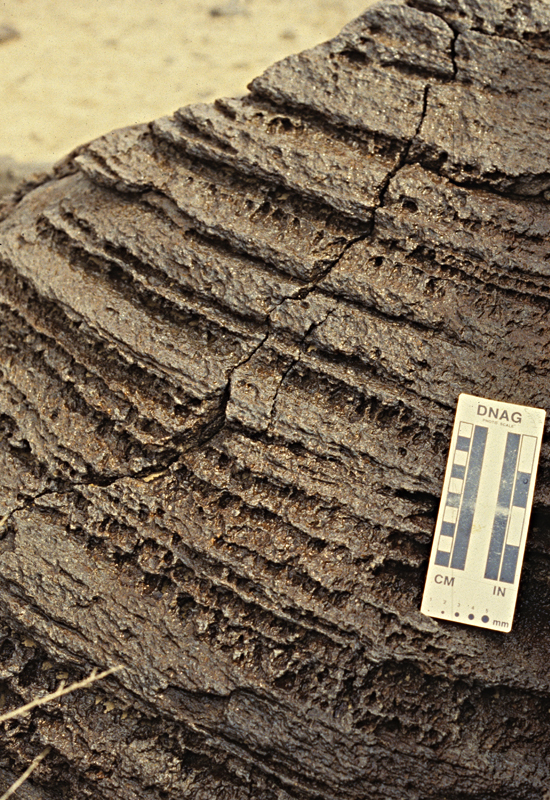 IAG Planetary Geomorphology Working Group Featured Image, July 2009.